Marriage, a Great Institution;That’s a Fact! Wow! What an amazing summer! The weather has been glorious; they’re has been some great sporting achievements, a smattering of celebrity weddings and a new baby Prince! So now autumn is here, which must mean that the Wedding Fair season is starting again! It seems impossible that a year has passed since we made our debut appearance at the National Wedding Show, however, this week we are preparing to head there again for this years event at the National Exhibition Centre, Birmingham this weekend (4-6 October). We are really excited to be going back as we get an opportunity to chat to lots of brides from all over the country. This is one of the biggest Wedding Shows in the UK with over 6,000 brides coming along in 2012 with more expected this year! This made us wonder whether the number of people getting married is increasing so we delved into a few statistics and we found out some interesting facts – thanks to ‘The Wedding Secret’. Marriages are on the up! In England & Wales the number of marriages has been steadily moving downwards since the 1970’s however from 2009 -2011 (the most recent information available) the number of marriages increased with almost ¼ million taking place each year! It still doesn’t compare to those year’s with the most recorded marriages at nearly ½ million – unsurprisingly, this was in 1939/1940 at the start of WWII! Looking over time it seems that the numbers are affected not just by significant historical events but also changes in the influence of the church, diversity of population, social & economic transformation and of course – the 1960’s!! It was no surprise that Saturday is the most popular day for weddings to take place accounting for over half (58%) although 1 in 5 weddings now take place on a Friday. 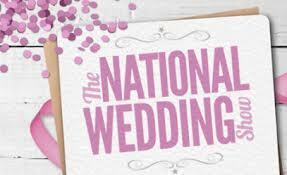 This still leaves 20% of weddings being held Sunday-Thursday, (the least popular day to be married being Tuesday – but not by much!) We are definitely noticing that there is more of a spread throughout the week, possibly helped by venues offering better deals for the less popular days of the week. Well, it seems we’re not alone in experiencing the majority of our weddings between June & September as over half (52%) took place during these four summer months. It’s fairly evenly spread over the remaining months however January is the least popular month to get married – possibly the weather, post Christmas blues or too much Christmas Cheer! People are generally waiting longer to get married and in the latest figures the average ages were 33.2 for men and 30.9 for women. This is around 6years older than 100 years ago (27 for men & 24.8 for women) although the age gap of 2-3 years between couples has remained pretty constant. Interestingly, the 1960’s saw the lowest average ages to get married, which were men at 23.8 and women at 21.7. Get me to the Church! At the beginning of the 1960’s over 70% of weddings were in a religious context or building with the remainder taking place in a Registry Office. Up until the early 90’s registry office weddings were increasing until they accounted for nearly half, however, a massive change occurred after 1995 when it became possible for premises to apply for a licence to hold marriages. Suddenly couples could chose to move away from the queue at the registry office and have a stately home or hall all to themselves. This significantly changed the location of marriages with over half now taking place at an approved venue. For the remainder religious weddings still account for the largest part and the 1990’s change seems to have had the biggest impact on with registry office weddings which only accounted for just over 10%. To be or not to be (married)! The biggest percentage of the population still has their status as married but only just! ‘Cohabitation’ is the fastest growing relationship status, with 11% of all couples in the UK registered as cohabiting in 2011. This figure has approximately doubled since 1996. It seems as though people are still getting married (which is good news for us) and the numbers are on the increase. It will be interesting to see from later statistics whether the speculation around 2013 and the superstition surrounding this did have an impact on the number of weddings taking place this year. Either way it looks as though we’re in for a busy weekend and we’re looking forward to chatting to all those lucky ladies planning their wedding over the next couple of years. Watch this space for details of how we got on!